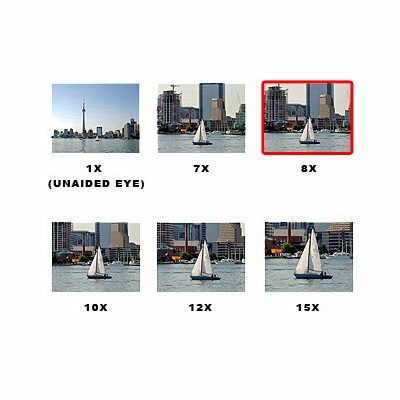 The High Definition (HD) lens concept from Zeiss includes extra-low dispersion (ED) glass elements that evenly transmit the visible spectrum and increase light transmission. Finishing the ED glass with T* multi-layer coatings enables the Conquest HD binocular to render up to 90 percent of available light. The Schmidt-Pechan prism configuration enables a relatively compact body size compared to other roof prism designs. A phase-corrective coating on the prisms enhances light transmission and helps to correct the alignment of visible wavelengths. Phase-corrected prisms are designed to minimize chromatic aberration and produce lifelike color saturation. Multi-layer T* coatings are used on all Zeiss premium sport optics. The coating is chemically engineered to minimize reflections by lens elements and faithfully transmit the entire visible spectrum while preserving sharpness at the edge of the viewing field. Objective and ocular lenses are coated with a LotuTec moisture/abrasion-resistant coating. This layer causes moisture, including snow and rain, to bead up and roll off the lens surface. In addition to reducing lens occlusion, this coating helps prevent debris from sticking to lens surfaces and makes for easier removal of dirt and dust. Rubber polymer armored aluminum housing, waterproof construction (submersible to 400 mbar), and broad operating temperature range (-4 to 145°F) equip the Conquest HD series for a wide range of outdoor applications. Great binoculars. I have both Swarovski and Leica binoculars also and find the quality of my new Zeiss easily as good. Very bright and clear. Extremely happy. The only slight negative is that they are bulkier and heavier than my Leica 8×32, however for the price, the Zeiss romps it in. 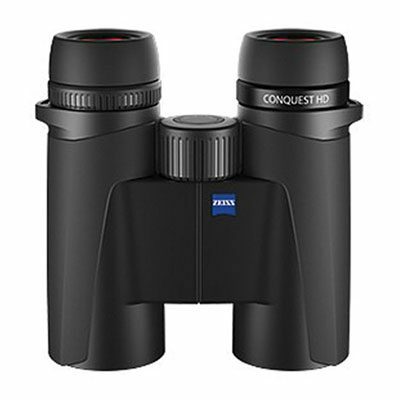 These are outstanding binoculars – clear and bright images, readily adjustable without being delicate, and relatively light weight. Delivery was in very secure packaging. 52.0 – 74.0 mm / 2.0 – 2.9"